Nothing makes a better gift than something personalized! Prominently featuring any text you desire, the design is permanently carved into the surface of the glass resulting in an elegant frosted white appearance. We use a premier method of sandblasting, which produces a deep and even mark on the finished product. Each product is hand made by our talented team and individually quality checked before being shipped. Our mugs are restaurant quality and made by Libbey Glass. They hold 11 ounces, stand at 3.5" tall and are dishwasher safe. Please note that we will adjust the sizing and placement of your engraving to best fit the style of glass and overall layout. In order to achieve the optimum appearance on the final product, font sizes may vary from the product preview panel during customization. You do not have to fill out all three available lines; only one line is required for purchase. 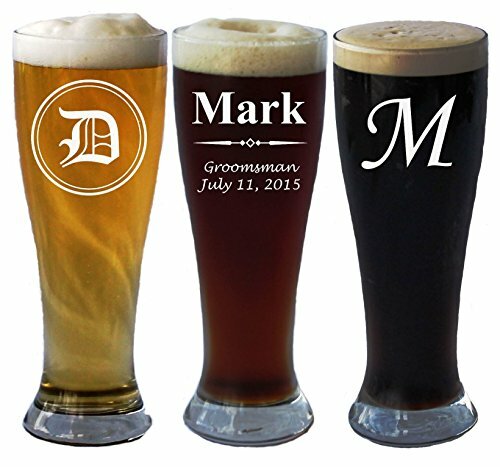 Our Engraved Beer Glasses can be perfect gifts for your Groomsmen, Best Man, Bachelors Party, Wedding favors, each custom engraved with unique personalization. If you do not see what you are looking for please contact us and we will design something just for you. 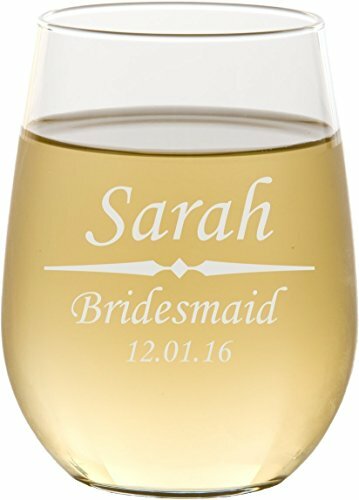 This elegant stemless wine glass set makes a wonderful and very personal gift for a special couple. Perfect for engagements, weddings, and anniversaries. They're sure to become a special keepsake. Restaurant quality glassware. 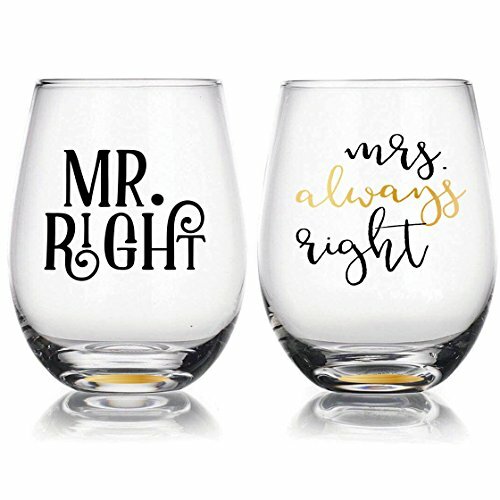 One glass holds a Mr Right Design and one a Mrs Always Right design, each in graceful colored and gold metallic lettering. The design is permanent and won't wear off. The wine glasses come packaged in a sturdy box suitable for gift giving and storage. While each wine glass will hold up to 22 ounces, we recommend avoiding the temptation to "fill" these glasses. Wine needs air to come to its full potential. Instead, fill the glass just to the point where the bowl reaches its widest point. That will give the wine plenty of room to breath in all that oxygen. Hand wash.
Color: "Mr Right & Mrs Always Right"
This (1) whiskey glass will be personalized with with your custom in the one, two or three line version of our layout shown. Our specialized engraving process permanently marks the glass, so it requires no maintenance, and it is dishwasher safe! 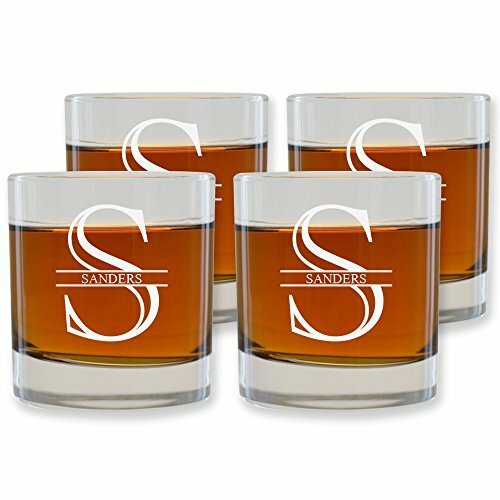 ...Item Details... ~ Made from durable, quality glass ~ Two sizes: Holds 8 oz or 11 oz of whiskey, scotch or bourbon ~ Etching is permanent and dishwasher safe! ~ Made and engraved in the beautiful USA ~ One, two and three lines will be formatted like their respective photos (see listing photos) Processing time is only 2-3 business days! Custom items are not able to be returned or exchanged. These custom engraved pint glasses make great gifts! Comes with FREE custom engraving . After purchase, send us a message including your design choice and text for engraving. We can engrave any text, and will not include any titles or other text by default, so please include these in your text if desired. We believe in making great products. Our pint glasses are made in the USA by Libbey and heat treated for far superior break resistance. 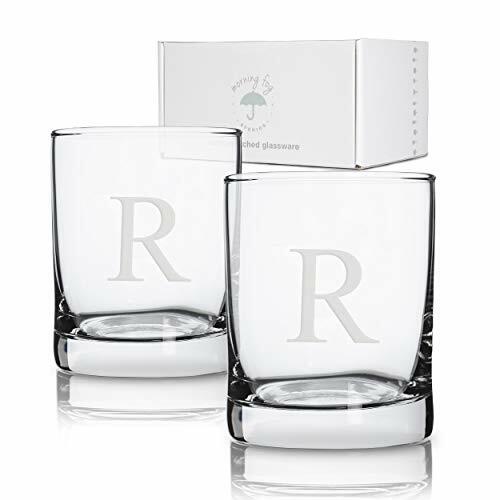 We use the same exact glassware you will find in bars all over the country!The laser engraving is permanent and is completely dishwasher safe.Engraving on glassware has a beautiful and elegant frosted glass appearance. 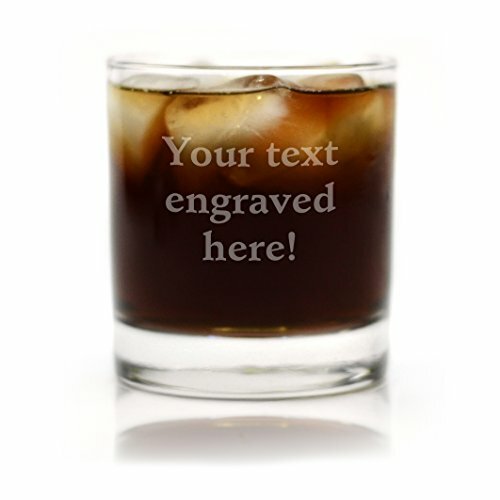 Glass Specifications: Heat Treated for Strength FREE custom engraving 1 pint/16 fl oz capacity Bottom-rack dishwasher safe Glass measurements: 3-5/8" W x 6" H Weight: 14oz OFFICIAL Personalized Gift Company pint glass, Engraved and Sold By The Personalized Gift Company! Custom laser engraved pilsner glasses for the beer lover in your life. Etching is permanent and the glasses are all dishwasher safe! Great for wedding parties, housewarming gifts, groomsmen gifts and much more! Holds 16 oz. 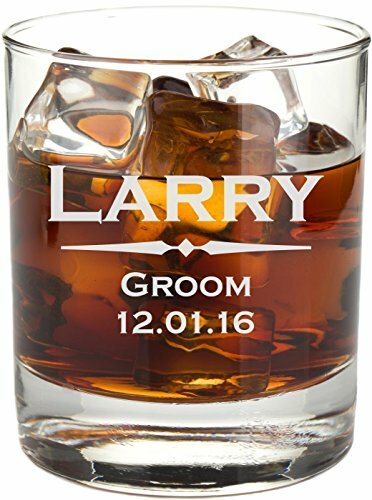 Want more Personalized Glassware similar ideas? Try to explore these searches: Teardrop Foot, Black Clip Pocket Watch, and Star Wars Board Game.